The Milky Way stretched almost horizontally across the southern sky in Peru. There was sky glow from Cusco, a city of 400,000, only 20 miles away as the bird flies (1.5 hours by road). Even just 13 degrees below the equator there are many differences in the sky from North America. The Big Dipper hugs the northern horizon upside down. 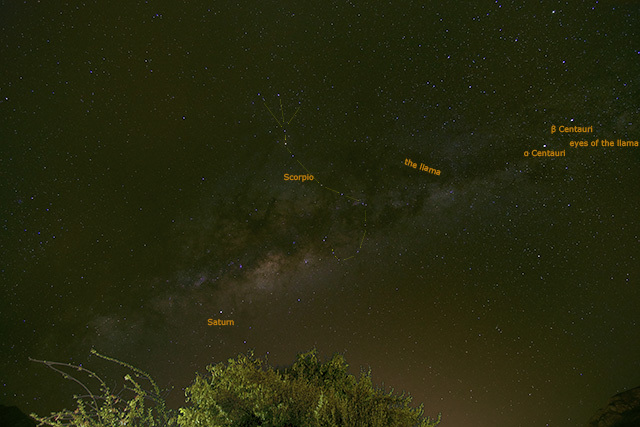 Scorpius is high in the southern sky at an odd angle. My planned shot of the Greater Magellanic Cloud was spoiled by a large mountain in the way! The Andean constellation the Llama is formed by dark nebulae in the milky way. its two eyes, alpha and beta Centauri, are high in the sky. Sony a6300 with Rokinon 12mm f/2 lens shot at f/2.8 for 30 sec at ISO 800 on a Vixen Polarie Tracker. Taken 2018-05-15 03:34 UT from Urubamba, Peru. Single image processed in Pixinsight and Photoshop. The mountains surrounding the canyon cut off my view of the greater Magellanic Cloud. Cusco, only 20 miles away, is the source of the sky glow. 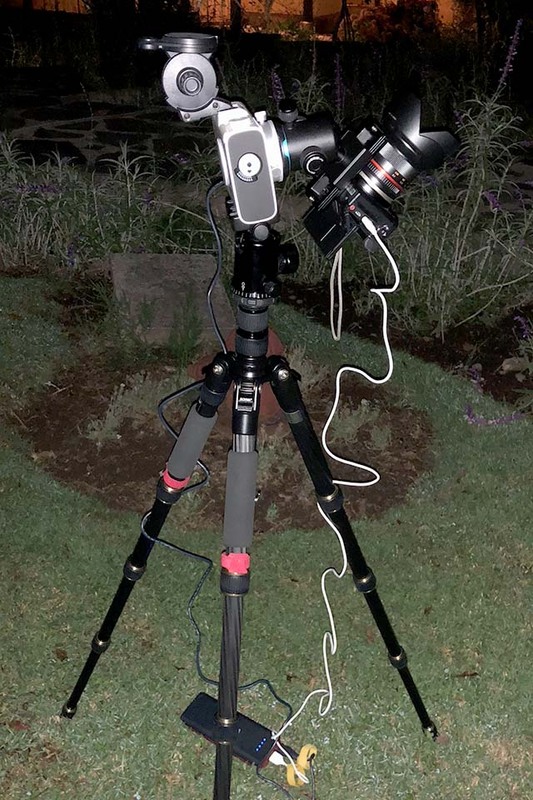 This was my first time polar aligning the camera south of and near the equator. I found that the best camera position was upside down!